What fraction of these roses are shaded red? 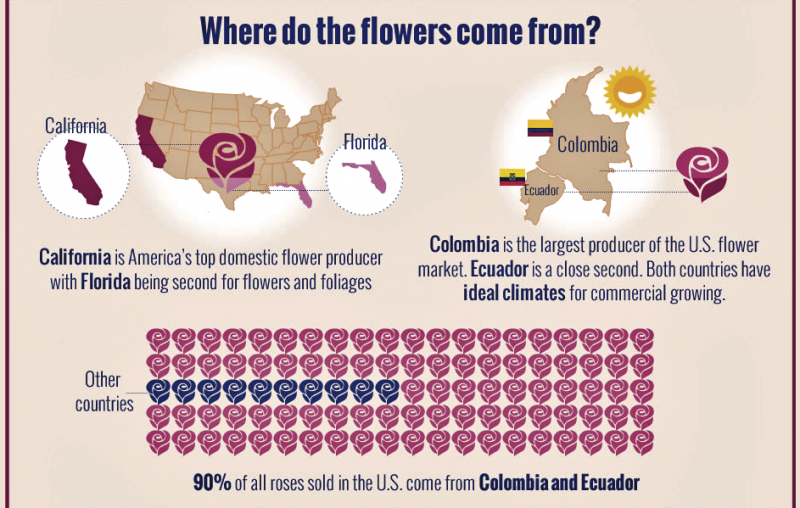 The red ones symbolize flowers that come from Columbia or Ecuador. What fact is this graphic of roses demonstrating? What other ways could they have demonstrated that fact? In this activity students can check out ways to demonstrate and visualize data. Two sections of the Visual.ly graphic are used in the post but the entire graphic will lead your class to even more interesting questions. Check out the entire graphic by clicking on the link just above our image.